Having finally completed that table you have been mulling over for the last few months, how are you going to finish it? If you were planning to apply a couple of coats of polyurethane, and hope that it would pass muster, you should give it more serious thought. 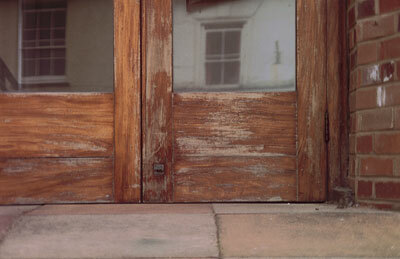 To enhance the natural beauty of wood's grain texture and surface markings (referred to as 'figure'). To produce an even colour and surface that is pleasing to look at and which fits in well with its surroundings. To protect the wood from a wide variety of things that will destroy, damage or disfigure it in some way. It is a well-worn cliche, used in all books on woodfinishing, that many a good piece of craftsmanship is ruined by poor finishing. For generations the crafts of the cabinetmaker and the polisher have been separate, and perhaps that should tell us something. However, there is no real excuse for bodging. Not everyone is comfortable with, or highly skilled in applying, French polish, but there are alternatives that can make the work look just as good. So, why is there this problem? Lack of knowledge, skill and experience of the wide range of finishing materials that are now available to both professionals and amateurs. Lack of planning. Finishing is often left out of the 'thinking it through' process and, consequently, very little attention is given to it. Will it have to be a particular colour? Will it be handled a great deal? Will it be subjected to possible water or alcohol spillages? Will it be subjected to having hot objects placed upon it? Will it look better as a high gloss, low lustre or totally matt? Is the object under consideration going to be indoors or out? What skills do I possess? Is the nature of the wood itself going to determine the best method of finishing (i.e. is there an attractive figure that needs to be brought out, or is the wood likely to reject certain finishes)? Is there a traditional way of finishing this particular wood and do I want to reproduce that traditional look on this piece? Does the piece have to match other items? Not all of these questions need to be asked every time, and there may even be others that occur to you at the time, but the need to include some thought on finishing at the planning stage of your project cannot be overstressed, as it may sometimes influence other factors. For example, it is sometimes better to stain and polish components that are difficult to reach before assembly and so, without forward planning, you could make life difficult for yourself. It is not just a question of making life a little bit easier. There can be unfortunate and disappointing consequences if the wrong type of finish is applied, if the type of stain is incompatible with the polish material or solvent, or if incorrect surface preparation has taken place. 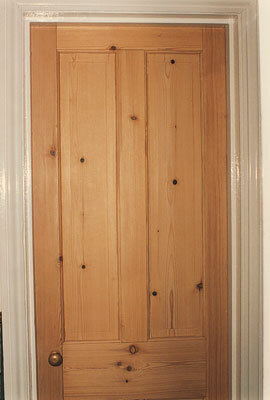 Picture 2 shows an exterior door where the varnish is peeling off and there is bad staining due to moisture. Normal internal polyurethane varnish is unsuitable, as the constant movement of the door, expanding and contracting as atmospheric conditions change, causes it to crack through not being very flexible. This allows water to penetrate and lift the varnish. Alternatively, it could be that moisture was trapped in the wood prior to finishing, or the stain used was not quite dry. The result would be the same. One of the humidity resistant varnishes would have been better. They are able to tolerate slightly higher levels of moisture in the wood, allowing water vapour to escape through the varnish film. These exterior-quality varnishes are also better able to tolerate the natural expansion and shrinkage of timber that is exposed to wide fluctuations in climatic conditions. 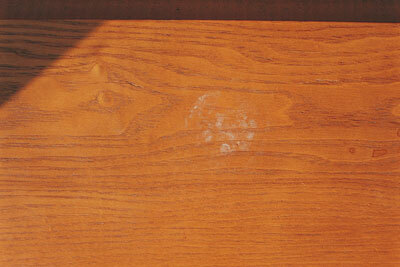 Picture 3 shows the badly ring-marked and scratched surface of a French-polished table. This very beautiful but vulnerable finish is not resistant to heat, alcohol or moisture. Perhaps, in this case, an acid-cured lacquer, or even a burnished polyurethane varnish might have been better. Both categories of materials are more tolerant to heat and spillages. On the right of this page there is a flowchart to help you decide upon the best finish for the job in hand. By answering the questions, you will be led step by step to those that seem to fit the bill. You will also be directed to the appropriate sections of the book where you can read up on your chosen finish. Just because something is traditionally done it does not, of course, bind you to doing the same, but it might influence your final choice, as traditions are based on what experience shows to work. Oak, pine and teak seem to please the eye more when they are finished to a low lustre (see picture 4). Oak has a rustic image; its coarse-grain texture and medullary-ray figuring on quarter-sawn boards are certainly shown off at their best if the grain is left open (i.e. no grain filler has been used) and there is high build-up of polish. This creates the impression that you are touching the wood itself when you run your fingers over it, which many people would be tempted to do. Pine is a curious one, in that it is widely regarded as a 'show' timber. In fact, pine furniture historically was quite ordinary and cheap, and often relegated to the servants' working and living areas, or other low-status domestic areas. Pine was also used as a base for high-quality painted furniture. A number of coats of gesso were applied, and were then sanded to mirror-smoothness before applying decorative paint. Walnut, mahogany and rosewood look superb under carefully applied French polish, where the optical qualities seem to enhance the attractive and dramatic figures characteristic of these timbers. They look equally good under modern synthetic spray lacquers, carefully applied and hand finished. Oak was traditionally waxed, oiled or simply burnished, its rustic surface-texture and figure being allowed to speak for itself. In the end, however, it is your decision as to how you finish your project; it only matters that, at the end of the day, it is pleasing to look at and is durable enough for its purpose. The point is you must take account of purpose, decorative requirements and anticipated wear. Cost, in terms of materials and labour, is a legitimate factor, but should be secondary to durability, function and decorative effect. The Table on the facing page can be used to guide you towards an appropriate finish for the job in hand, but there may be other overriding factors to take into account. Starting at the top, follow the arrows that give the appropriate criteria. For example, if the surface needs to be durable, you are led to the questions 'internal?' or 'external?' Assuming the work is external, is it liable to be absorbing a lot of moisture, or do you suspect that moisture may be there already? If the answer is yes, do you want a hard finish or a finish that is non-coating? Hard finish leads you to use microporous materials, and non-coating leads to solvent- or oil-based preservative. As I say, this is only a guide, and you may find that when you turn to the appropriate chapters the finish may not be exactly what you are looking for. An alternative should then be sought, but this may mean compromising on specifications. For example, you may decide on French polish, and therefore compromise on heat and water resistance. The great thing about finishing as a craft is that the tools and materials required to perform the task are relatively few, compared to other crafts associated with woodworking. Nevertheless, a rough understanding of what the tools and material are, and how they are used, is vital if you are to achieve a decent finish. 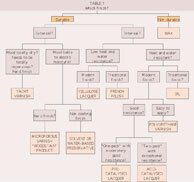 Where appropriate, an explanation of methods and materials has been provided. I have already mentioned that many problems and disappointments arise through poor planning, or even no real planning at all. You must know in advance what procedures are needed. You need to be meticulous in your approach to the work and, above all, do not rush things. If a varnish requires six hours to dry sufficiently before applying another coat, then leave it for six hours. This may sound patronizing, but sometimes the temptation to rush things can be overwhelming. On occasion I have been so pushed for time that I have had to walk away from the job for the day and put it out of my mind to reduce the frustration. It is usual (except in the case of waxing and oiling) to gently rub down the surface between coats, partly to remove adhering particles but also to provide a key for the subsequent coat. One of the most frequent questions asked is 'what can be used on what?' 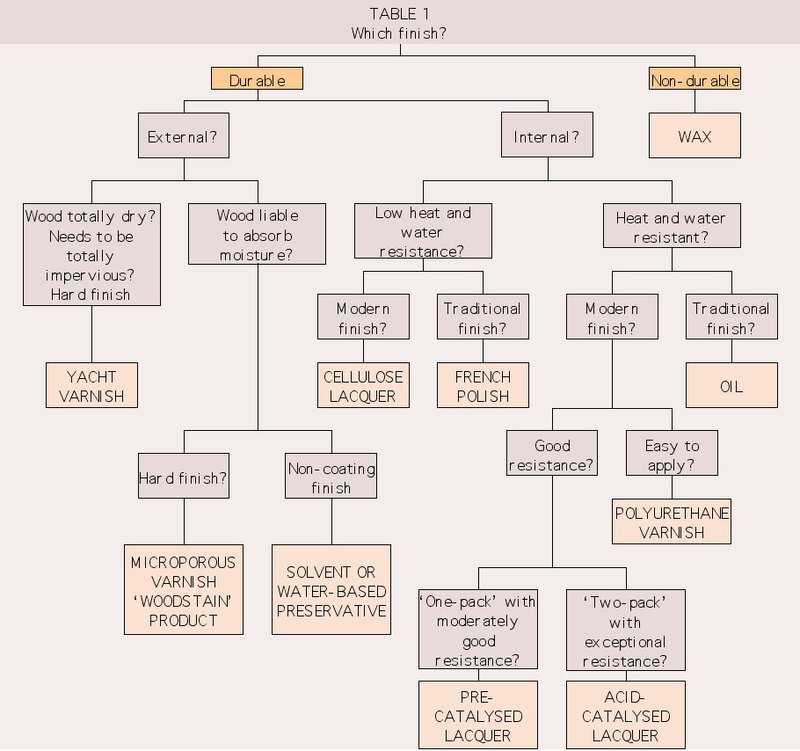 Compatibility is an important issue in woodfinishing, especially now the range of products and their formulations is so large and diverse. Mistakes can be expensive, so I will address the issue of compatibility throughout the book. The last thing you want is for a perfect finish to be spoiled because it starts to flake off several weeks later. Perhaps one of the best pieces of advice I can give is to find a range of products from one or two manufacturers that you feel comfortable with. Manufacturers tend to produce ranges that include matched products, e.g. 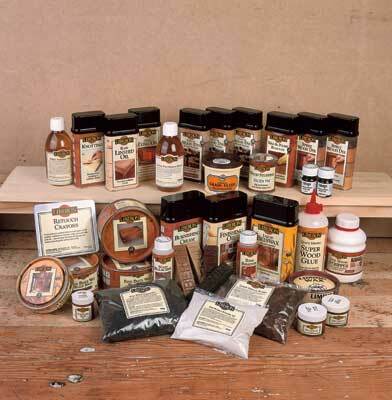 wood dyes, sealers, finishing coats and grain fillers. Get to know them and their characteristics, especially how they work together. "You need to be meticulous in your approach to the work and, above all, do not rush things"